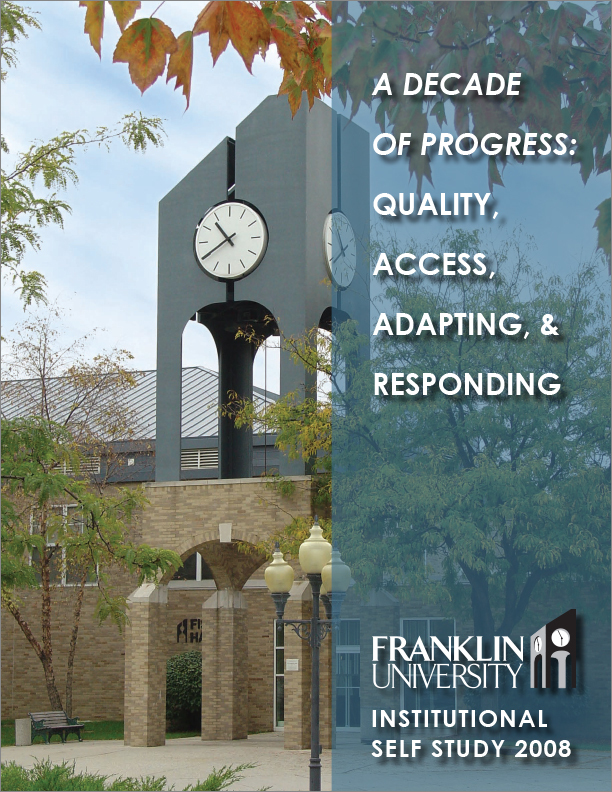 The Institutional Self Study document was part of the re-accreditation process for Franklin University. The design had to follow university style guidelines to compliment other official publications, yet still look unique. 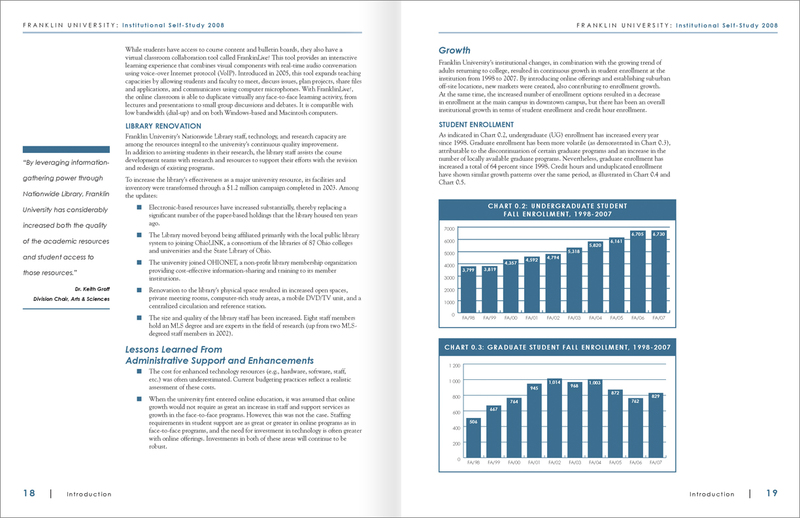 I integrated text and data in a smooth-flowing format for a document that was over 300 pages long. The accreditation committee commented that this was one of the best-looking and most easy-to-read self studies they had ever seen. Responsible for: Layout and design, graph and chart creation from provided data, organizing information.